Whether you think about it or not, you have an everyday carry allotment. For those days when you're just walking around, you have your phone, your keys, your vape, some chapstick, and a couple of bills in your money clip in case you need to pick up something small and you don't want to futz with your debit card. If you're going to work then you'll have your ID, a box cutter, the necessary thumb drives to hold and transport data, and maybe a half pack of caffeinated gum to get you through the day on top of all that other stuff. Now, ask yourself if you would bring all your camping essentials with you if you were just going into town to do some shopping. Since the answer was probably no, ask why your RPG characters often do. Where am I going? Just down to the tavern for a few drinks... why? While not every game has encumberance penalties (and not every group who plays games that do give them much attention), there comes a point where you should look at your inventory and ask how the hell your character is hauling around all this stuff. And, more importantly, you should ask why that character is bringing everything with them. Sometimes this is an easy question to answer. Your party is on deployment in enemy territory, so they have a full complement of field gear including weapons, armor, healer's kit, field alchemy kit, spell components, ammunition, rations, and all the other things you need when you're far from civilization and surrounded by potential threats. But what if you're not? What if you're on a well-traveled road just going from one town to another on a day trip? Or if you're in a major city where someone clanking around in full plate who is not either part of a military parade or a tourney is going to get a lot of strange looks? What? You guys don't do casual Fridays? No one wants to get caught off-guard without their armor, shield, or weapons, but it's a good idea to put together two or three different equipment sets so you can easily do record-keeping for different situations. The first set is for when your adventurer is loaded for bear, and they look like one of the iconic Pathfinder characters (which is to say epic as hell, just don't ask how hard it is to sword fight with a bow over your back). The second is their casual carry, or their walking-around look. Because while Hervath Brightblade might feel most comfortable in a hundred pounds of steel atop his trusty charger, he makes do with a short sword, a chain shirt under his tunic, a Ring of Protection, and a Ring of Force Shield when he's just walking around town, or making deals with merchants. And the third sheet is for when you're going to an event where you're supposed to be on your best behavior. The kind of event where you'll be wearing silk instead of wool, and where even wearing a belt knife could be seen as offensive behavior. Creighton Broadhurst had more thoughts about this in What's in An Adventurer's EDC? if you want to do further reading on the subject. On the one hand, the idea of everyday carry might look like a way to make player characters vulnerable. After all, if they're not rocking their full bonuses, or carrying their deadliest weapons, then that means they're swinging at less than full-strength if the bad guys choose to show up with their whole crew to make a move on them. This happens fairly frequently, too, since plots where characters have to blend in at the opera, or attend a ball being thrown by the duke, tend to use exactly this limited equipment ploy to make encounters more difficult. On the other hand, though, by making players remember that their equipment exists beyond numbers on their sheet, and bonuses to their attack and defense, you can end up making important character decisions. I shall go bare-chested. That will make them think twice about attacking me. As a quick for-instance, let's revisit Hervath. 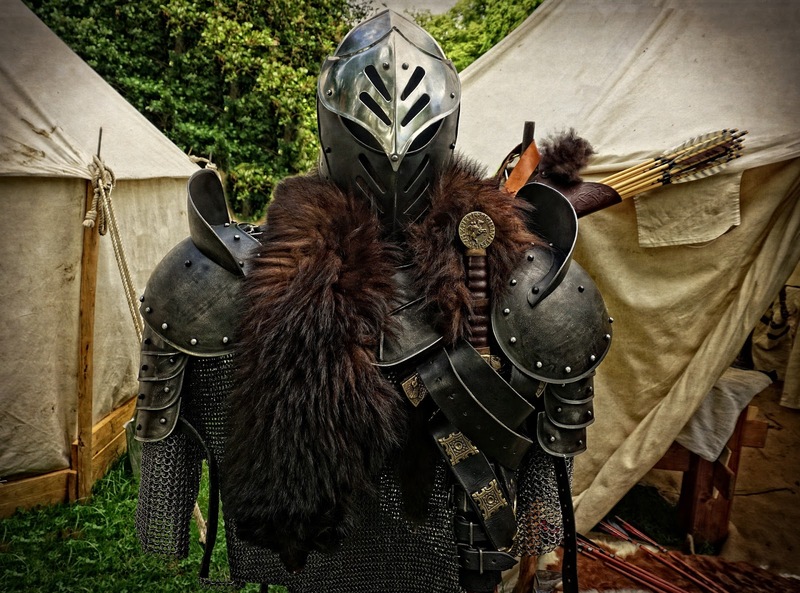 He's used to heavy armor, a mace, a sword, and a shield, but he was trained for war. He recognizes that showing up in full battle dress can send the wrong message if he's among the civilian populace. Not only that, but it's just cumbersome and awkward eating a sandwich in full armor. The decisions he makes next say things about him, as a character, though. For instance, has Hervath's experience taught him that there is no such thing as true safety, so while he foregoes his full plate and heavy shield, he still keeps enough magic and weapons on his person to fight his way free of any ambush? Alternatively, does he trust in the city's walls and the presence of a respected town guard to ensure his safety while he goes to the tavern, so he only takes the minimal precaution of wearing a long dagger, and keeping his ring and amulet on for protection? Or is he so confident in himself that he foregoes protections, not because he trusts the city to be safe, but because he expects his reputation to armor him? And if that is the case does he carry his signature sword, prominently display his crest, or make some other effort to announce to those who catch sight of him just who he is, and why they shouldn't fool about with him? Does your character feel naked without their field gear, or do they feel relieved? Do they feel out-of-place if they are unarmed, or unarmored, even if they aren't worried about their safety? Do they behave differently when they have a tower shield strapped to their arm, and a morningstar in hand, than when they're facing down a crowd of braggarts on a street corner, or dealing with an unexpected assassin at court? The answers to all of these questions might change over time, as characters gain in experience, and learn new habits both good and bad. Pheanor Hardchilde may have been unsure about expending any of her arcane energies unless she was sure she, or others, were in danger when she was a fresh-faced academy graduate, but after her adventure in the Crannoch Chasm, she always has several protective magics active on her person no matter how safe her surroundings are. On the other hand, Brenden Blaze was touchy enough that he'd kill a man for speaking out of turn to him. After looking into too many sets of wide, staring eyes, though, he leaves his guns at home when he goes to town, and only carries a dagger. He can make it all kinds of lethal, if he needs to, but he always uses his mouth before he reaches for a weapon whenever he has the chance. What equipment your character carries says a lot about them. When they carry it, and what they refuse to leave behind, says even more. So think about what stays on their person, and what they leave in their room at the inn the next time you're at the table. Also, since we're talking about gear, take a listed to Razor Jack's top five pieces of overlooked adventuring gear for Pathfinder. It's an entertaining little episode, if you haven't checked out Dungeon Keeper Radio yet. That's all for this week's Fluff post. If you liked it, and want more of my content, why not check out my archive over at Gamers? It's growing a little every month! If you want to stay on top of all my latest releases, then follow me on Facebook, Tumblr, and Twitter. Lastly, if you want to help me keep Improved Initiative going, then head over to The Literary Mercenary's Patreon page to become a patron today! All I ask is $1 a month, and as a thank you I'll send some books your way! We don't need to pay attention to details, that is for the real. The people we play and the worlds we play in aren't real. I'm not really seeing the logic here. Given that you're playing a game, and games have rules, it sort of behooves you to actually pay attention and follow the rules. If you walk into the bar and immediately stab the bloke next to you without provocation, that has consequences in the game world. If you stamp around with a greatax over your shoulder in spiked armor, you're going to get a side eye from a lot of folks. And, in many cases, that ignoring of the social contract in game leads to awkward situations. Like how open carry activists run into people calling the cops on them, or refusing them service, because they're brandishing deadly weapons for no discernible reason. If you're in the middle of nowhere, or on duty as a town officer, or in an area that's just been attacked, that's one thing. If you're literally at the bar, why would you still be in full battle kit? What sense does that make? Everything you said suddenly has a little less sense, when you realize that there are SORCERERS. A sorceror cannot "prepare" spells: He just knows them. And 99% of sorcerers have their trusty fireball, magic missile, and some other combat spells. So, you're walking the street, and that charming guy without armor can be a person of mass destruction. I'm not talking about wizards. While they are not adventuring can prepare "Locate my keys", "Chill Beverage" or "Clean House" spells, useless in most adventures but useful in day-to-day basis. I'm talking about sorcerors: They aren't kids with armed guns: They're kids with armed bazookas. So, you wanna carry a big armor, just to say your neighbours "I'm not a sorcerer, Okay?" Actually, I'm not seeing how your argument makes any sense here. It's essentially, "but bruh, there are spellcasters, so why wouldn't people be cool with you packing so much steel around town?" Even assuming spellcasters are common (which is a rarity) being a sorcerer, or a wizard, comes with its own rules for not looking aggressive. As a for instance, it might be a good idea NOT to paint a skull on your face and summon demons to go place your drink order for you when you're trying to have a decent lunch at a sidewalk cafe. It all comes back to, "so, if you're going to be in public, don't put your weapons on display, and freak out the populace, okay? That's a good way to both look like a nut case, and to ruin whatever good will you might have built through heroic deeds." It's no more okay for someone to shoulder his way into a tavern in full plate, while carrying a tower shield to get a drink than it would be okay for a summoner to stroll in with his eidolon snorting flames and just expect everyone to be cool. Especially if he, and his interdimensional pet/bodyguard are not well-established parts of the community. This really depends on the DM/GM and how he wants to run the game. A lot of people skip most of the everyday fluff and don't rp any of their downtime unless it's central to the story. If the DM doesn't impose penalties to the characters for walking around town like an armored tank then players will do it. There is no disadvantage to wearing your full kit. If the DM has a local militia impose rules, or rp's in some negative consequences, then players will be more specific about what they carry and where they carry it. Specific to Pathfinder or D&D, a lot of groups play these games as expanded board games with all emphasis on mini's and combat, skipping most of the RP aspects. Let the DM decide how to enforce it and players will adapt accordingly. i usually keep multiple sets of armor in most systems. for around town or for mostly political encounters or even subterfuge missions, i usually wear a concealable light armor like spidersilk clothes or a chainmail hauberk with a dagger concealed inside my sleeve, and if allowed in the setting, a 9 millimeter pistol strapped to my thigh. i usually sleep with a chain shirt beneath my clothes or wearing spidersilk clothes, and generally keep a dagger inside my sleeve. and if permitted to procure a handy haversack with coin, that is usually the first magic item i go for. mostly so i can store my other kits. but for my rogues and spellcasters. i generally keep a dagger concealed inside my sleeve, a 9 millimeter semi auto pistol strapped to my thigh, spidersilk clothes when i can afford them, especially in the form of some kind of robe or dress like garment. preferably something monk or priest like but still attractive. a pouch containing a portion of my coins, a handy haversack if i can afford it, and in rural areas, a composite shortbow. and for fighters, i rarely take the weapon focus or specialization line, except with the weapon groups houserule for those weapon specific feats. and i generally take more intelligence and wisdom, and slightly less strength, investing feats in more skill points per level, and ending up with a fighter who can afford to max out 7 different skills. human, 14 intelligence, fast learner feat at level 1, open minded feat at level 1 (dreamscarred presses psionics), toughness feat at level 3. effectively, you have a fighter with an extremely decent skill selection they can grow into. Spidersilk Clothes are a 3.5 Edition Armor that was literally designed for rogues, spellcasters and monks. costs 30 gold, provides 3 base armor bonus with no armor check penalty, no maximum dexterity limit, no arcane spell failure and no weight, and counts as the better of light armor or unarmored whenever beneficial. and you can customize it however you please. they are from the 3.5 drow book if i remember correctly and aren't considered a magic armor. This is super interesting if you ask me.I really enjoyed reading this. Also its my first visit to this blog. Honestly this is a topic that I have never thought about but makes so much sense. 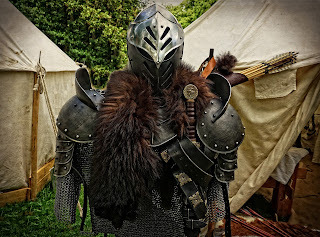 I fight in the SCA, we put on our helms and armor and carry weapons and shields to the field but after, during a feast we have what we call soft kit, some still carry swords, axes daggers etc, but no one is sitting there in their plate armor, steel helm and full combat gear. 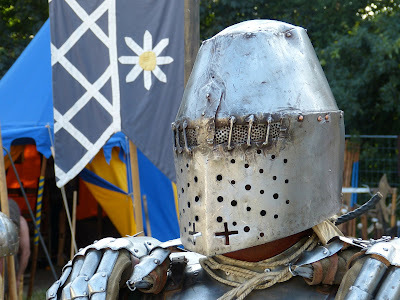 The SCA is an orginization where we create medival arts, sciences, combat and life for fun. Glad to have you here! I used to practice with the local light fighters in the area. Good times, but I could never afford the expense and time of actually going to events. 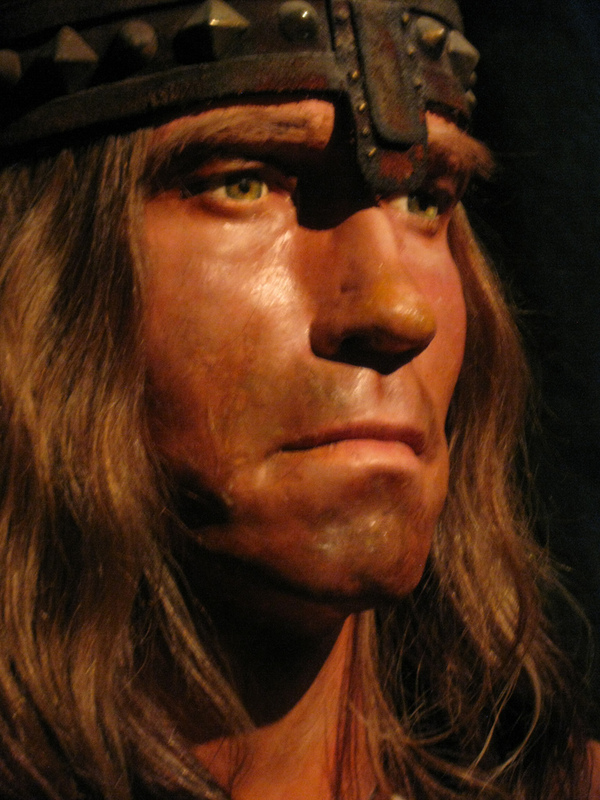 Fortunately for me, the campaign I'm in is in the colonial era, so I never wear armour. I might not carry my rifle to formal events, but I can still wear my same officer's coat on and off the battlefield.